For the second installment in the series we are proud to host Ana Caballero, a good friend and a true inspiration for her tenacious advocacy for food sustainability. The daughter of an American mom and Honduran dad who met in the Peace Corps and went on to run a restaurant in South America, Ana learned kitchen economy and cooking skills helping her parents since she was a child. Later on, she’ll get a degree in tourism management, and a Master’s degree in Food Culture with focus on ecology and sustainability at the University of Gastronomic Sciences in Pollenzo, Italy. Before settling down in Philly she also completed an internship at the Nordic Food Lab in Copenhagen. The daughter of American and Honduran parents who met in the Peace Corps and went on to run a restaurant in Central America, Caballero has been in the kitchen from a very young age. With a special interest in sustainability, she focused on this subject while earning a masters in Food Studies at UNISG. Upon completion, she moved to Philadelphia and found a good fit with High Street Hospitality Group. At Fork and High Street on Market she worked as a cook and primarily managed food waste reduction projects and purchasing. 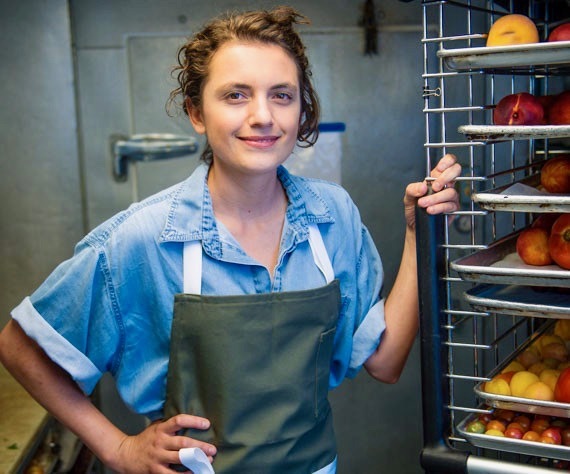 In addition, Caballero has been a research intern at the Nordic Food Lab, a cooking instructor with Drexel University and sits on the board of the James Beard Food Waste Advisory Committee.